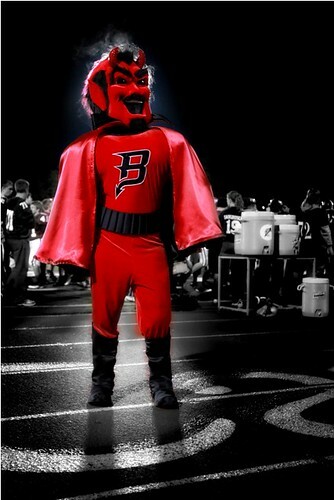 I was lucky enough to go to the Bradford High School homecoming game as a guest of the Sportainment department as a guest photographer. I focused on the entertainment aspect of the game, and didn't spend really any time taking pictures of the game. 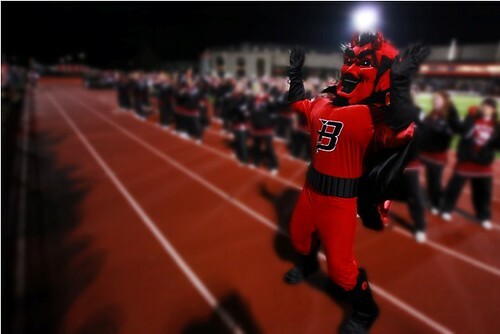 Between the students, the mascot, the halftime presentations, cheerleaders, and dance team, there was plenty going on. The great thing about high school students at this game is that none were camera shy, and wanted me to take pictures of them. 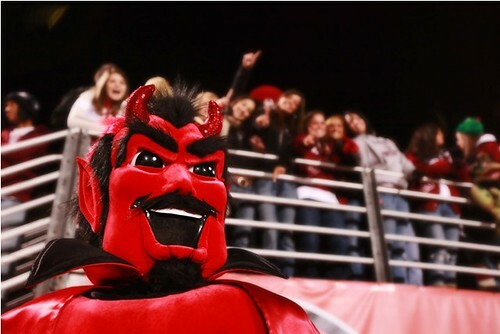 Here are a couple of Rowdy, the Red Devil mascot of Bradford High School.